The key to helping your dog excel to its peak performance is in the training. 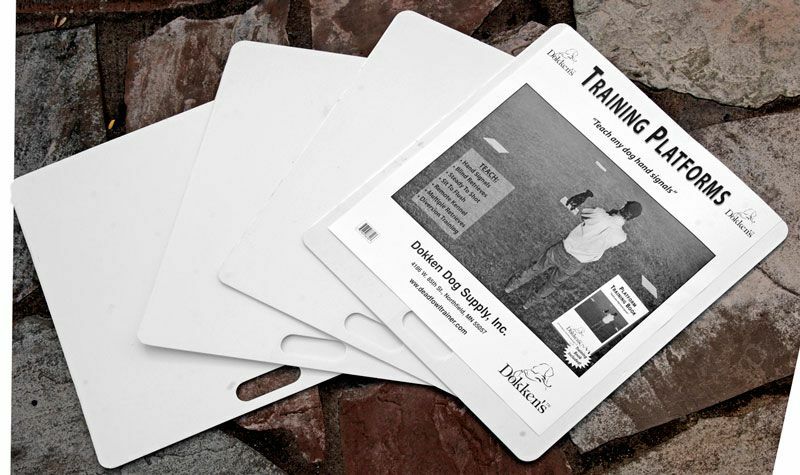 Dokken Training Platforms are the foremost aide in teaching your dog hand signals, blind retrieves, steady to shoot, sit to flush, remote kennel, multiple retrieves and diversion training. The set comes with 4 training platforms, each measuring 24” x 24” and a training book.